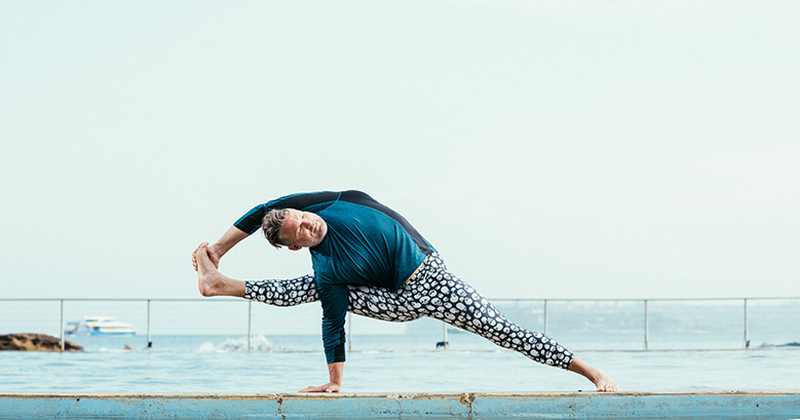 I was totally unaware of the damage we were doing to our bodies – most of my team grew up not really understanding or concerned by what will happen to us if we lose our functional flexibility. As we know, in the traditional Ashtanga (eight limb) system of yoga, physical asana is only one eighth of the yoga practice. So why is it that the majority of yoga studios emphasise so much on asana, traditionally just a small part of yoga and a part that was designed to prepare our body to sit in meditation? Well, whatever their individual reasons are, they are good ones. The abundance of this physical “yoga” in the modern day is the antidote to the lost flexibility we require to just sit comfortably for a few minutes cross-legged. In an age where computers and chairs are the norm, we have sacrificed our bodies’ functionality so we can sit in front of the television in comfort! In short – the great thing about a studio on every corner is that people are coming back to reclaim their flexibility and, in doing so, they are learning the great message of yoga: the ability to see unity in all. How fantastic that people come to yoga to free themselves from pain and inevitable end up getting a whole lot more! So, getting on with our practice to reclaim flexibility, as we age we are in risk of doing more damage to our muscles, joints and ligaments than the youthful body was adept too. It is important to keep safe while we practice, to modify traditional practices so that is suits the needs of an individual. The great thing about reclaiming our flexibility is that no one body is identical and thus, no alignment point is right or wrong just pointers for us to discover the truth or Satya about our own unique physical bodies. In our asana practice, the accountability is put back on our selves. Sure, we need guidance initially and nothing will replace a beautiful mentor relationship but as we gain knowledge we should also gain faith. Faith that we know our bodies better than anyone else and that we are our own greatest teacher. While we are inhibited by physical factors as we age and attempt to reclaim our flexibility, it is not enough to discourage us. Reclaiming your flexibility is a long process with many obstacles along the way but like the great god Ganesha teaches, “In each obstacle is a hidden gift for us, if we are still enough to receive it.” So you can think of this journey as a path with many gifts along the way – after you have traveled the journey, you will realise that the gift was the process. One trap along this path is to get lost in competition and desires of the ego to be the best, to be more flexible or have a better asana than anyone else. Contortionism is not a part of healthy modern day yoga practice, it is an egoic competitive addiction and should be avoided. The idea is to reclaim a healthy body that will age gracefully so that illness and dis-ease do not set in, so we can serve longer, experience joy and be free of pain later into life. So good luck on your journey to reclaim flexibility and welcome to all the gifts of yoga practice. Consistency is the glue that holds the practice together, stillness and power are one. Find a class or a teacher that you enjoy and stick with it do not be fooled into one style being better than another as they are all good just different ways of approaching the same message. There is a toga out there for everybody but not one yoga style for all. Your job is to find what is true to you and not judge others for their choice. As my older brother once said to me, “All yoga, all good” – wise words from another mentor in my life!